Today is September 11th, the day most North Americans will think of as the 12th anniversary of the Al-Qaeda attack on the Twin Towers in New York City (and on the Pentagon). But it is also the 40th anniversary of the right-wing coup d’état in Chile. 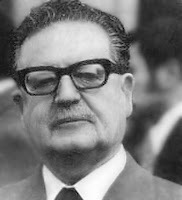 In 1970 Salvador Allende, a socialist, was elected President of Chile, a country with a long-standing democratic tradition. One of his policies was nationalization of mineral and other industries, including property owned by foreign investors. This didn’t sit well with members of Chile’s political right, or with the Americans—or Canadians, for that matter. On September 11, 1973 he was overthrown by a military coup lead by General Augusto Pinochet. An extended period of severe repression followed. At least 2,200 people were murdered and 30,000 more were tortured (for a fictional representation of this event, see the 1982 movie, Missing, directed by Costa-Gravas). 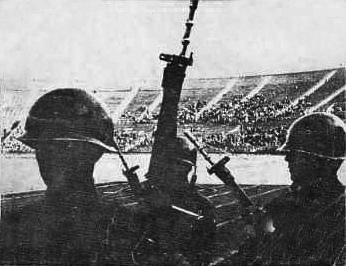 The coup in Chile and the subsequent (1976) coup in Argentina contributed to the delineation of a new crime, “disappearances.” The army and police would “disappear” people, taking them away from their home in the middle of the night, torturing them to death, dumping their bodies from helicopters into the ocean. Families would not know what had happened to their loved ones; even now, 40 years later, some families are still trying to find out. 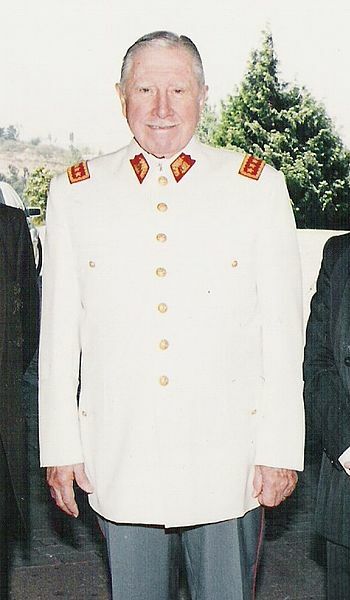 Pinochet remained in power until 1990. The Chilean coup had one positive result for international law. In 1998 Augusto Pinochet, no longer President, visited Britain. A Spanish judge, Baltasar Garžon, tried to have him arrested under the principal of universal jurisdiction for crimes against humanity, including torture. Although Pinochet hadn’t personally engaged in such crimes, he had certainly been responsible for them. Britain had signed the 1984 United Nations Convention against Torture; its signature went into effect in 1988. So the British Law Lords ruled that Pinochet could be tried for crimes that he had committed between 1988 and 1990. He was never tried though, as the British released him on grounds of ill health, from which he miraculously recovered when he returned to Chile. (For more on this, see Geoffrey Robertson, Crimes against Humanity: The Struggle for Global Justice, The New Press, 1999, chapter 10). I am not saying Allende was an angel, nor do I know enough about how he nationalized property to judge whether he conformed to the international law that owners are entitled to fair compensation when their property is confiscated. But he was elected democratically. We might think about the Chilean example when we consider Egypt now. Allende wasn’t like Mohamed Morsi, the recently ousted President of Egypt. Morsi, who represented the Muslim Brotherhood, was showing signs of undermining basic democratic principles. There was a real danger that the new “democracy” following the 2011 uprising against the almost 30-year reign of the dictator Hosni Mubarak was going to be of the “one man, one vote, once” variety. But as in Chile, the new military rulers in Egypt have been using force—murder and torture—against their opponents. They have outlawed the Muslim Brotherhood and are busy rounding up its leaders. I don’t know what to do about political parties that come to power democratically yet don’t respect democratic principles. I do know that murder and torture are illegal under any circumstances.